Thinking about getting into the business of saving lives? This is everything you need to know about Lifeguard Certification Training classes. Readers need to be aware that there is an immense responsibility that comes with being a lifeguard. There are no two ways about it. Taking on the mantle of a lifeguard means taking on the level of trust that others implicitly endow on you. In order to be effective at your job, you will need to be extremely attentive and patient. You need to be able to keep an eye on everything at all times. Moreover, you need to be the responsible caretaker that the job demands you to become. Needless to say, taking a lifeguard training class can be a bit of a rigorous process. Aside from the fact that you need to be fully dedicated to saving lives, you also need to acquire a particular set of skills to do the job that is required of you. Of course, this is not to say that the job is not without its perks. Aside from the tan you will inevitably get, you can also have a chance to see the world. This is because a number of lifeguard jobs offer the opportunity to join the crew of a cruise ship. If that isn’t your thing then you would probably enjoy hanging out in your local pool. Like with any other job, you are probably interested in the matters of compensation and hours. It would please you to know that, aside from the on-site responsibilities, lifeguard jobs are actually pretty lenient when it comes to hours. In fact, it would be very rare for a lifeguard to work 40 hours a single week. This leaves you with plenty of time to pursue other work and recreational activities in your spare time. It is also worth mentioning that most of these jobs are also seasonal. 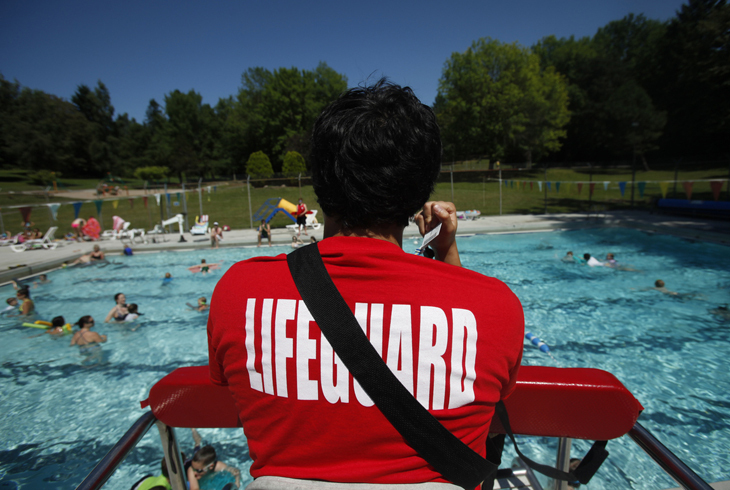 As one would expect, the demand for lifeguards grows exponentially during the summer months. Aside from that, you should also know that the work hours may vary. Sometimes, a job may require you to work nights and sometimes even the weekends. On average, lifeguards are paid an hourly salary of $9.25. However, the specific amounts can vary quite a bit once we take into account the person’s experience as well as the location of the job. For instance, there are some cases wherein beach lifeguards of notable experience can earn somewhere around $16 an hour or more. The very nature of the job would tell you why lifeguards must know CPR and First Aid. That is why you need to be properly certified before you can become an effective lifeguard. In order to do this, you must attend a series of classes you must also be able to prove your physical prowess by passing a number of challenges meant to test your strength and endurance. There are actually a number of training centers you can visit to get your certification. Just be sure that they are properly accredited to avoid any trouble down the road. 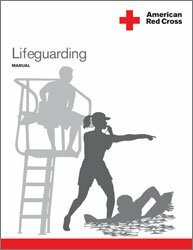 After becoming a lifeguard, whats the next step? When you enroll in a lifeguarding class, there are various tools and resources included depending on your level. We offer classes ranging from beginner to advanced and expert, as well as classes in the pool and in the classroom. There are so many aspects of lifeguarding any professional in the field needs to know. Each class, regardless of level, includes an orientation booklet outlining what you’ll be learning in the course. It will include reading materials, assignments, and physical exams. You will refer to this booklet to see when important dates are. You can also opt to get ahead in your studies by reading the study materials in advance and beginning to study for the exam. Your digital login is a huge component of what the class includes. Each student will be given a username and password to enter the lifeguarding database. From here you’ll be able to sign up for practice exam time slots, ask questions to your instructor, and converse on study topics with fellow students in the online forum. It’s basically your lifeline to staying in the loop with your class. Beginner classes include all introductory materials as well as complete access to the facilities’ lifeguard training equipment. You will have time during classes to practice your lifesaving techniques on the dummy, but if you need practice outside of class you’re free to use the equipment room. We encourage all students to spend time outside of class to practice and study the content they’ve learned. That’s why all classes also include a free anytime-access pass to the pools; you can practice your endurance and stamina swimming whenever the facilities are open. Intermediate classes include the same equipment as the beginner class, plus we include more intense training equipment. In intermediate, you will be expected to tread water while wearing weighted vests, properly carry a dummy body out of the water, and then perform CPR on various ages and body types. As you progress, more is expected of you. All students must pass the physical tests to graduate to the next level. At the advanced level, you’re given access to many more resources. You will be able to take online courses on finding the right lifeguarding job for you, marketing yourself as a lifeguard, as well as access to our job board. We list jobs from over 100 facilities in New York that employ lifeguards, as well as over 50 international companies that require lifeguarding services. Your in-person classes are highly specialized and usually smaller in class size. You will have one-on-one training and guidance from your instructor. If you are looking to become a lifeguard supervisor, you can take the Pool Activity Leader class, or take the lifeguard management in person exam. Lifeguarding isn’t for everyone; it requires dedication and commitment to completing the classes and passing the final exam. You need to master your swimming, on-land strength, technical skills, as well as scientific anatomy. If you’d like to know more about what the class includes (beginner, intermediate, or advanced), then feel free to message us on our Contact Page. We’d love to hear from you and discuss your lifeguarding career. The Pool Activity Leader In-Person Exam is the final milestone to complete before beginning your profession as a lifeguard supervisor and a Pool Activity Leader. This function is imperative to the organizing, leading, as well as sustaining a team of lifeguards and also water safety and security trainers. Via your defined training as well as learning in this course, you will certainly have learned expertise lifesaving skills in addition to what it requires to be a wonderful manager. Handling a team of individuals isn’t for every person. Those who have taken this program and pass the lifeguard management in-person test will have proven that they have the abilities as well as individuality to quadrate others in addition to lead them. In the program, we highlight exactly how important it is to lead by example and empowerment, not by concern and power. That’s why all graduates of this program will be professionals in any subject or skill that a lifeguard is needed to recognize. We desire our lifeguard supervisors to be able to urge, inspire, and also continue instructing their group of lifeguards. The Pool Activity Leader class takes about 3-4 hours to complete. There’s a written section, an in-water section, along with a discussion section. We aim to assist all trainees get ready for this exam and also be as effective as they want to be. You can get more information about the Pool Activity Leader program by sending us a message in the Contact Us page. Read the latest Patch article about the Pool Activity Leader (PAL) class. You can also read the Pool Activity Leader article. The Lifeguard Management In-Person Exam is the final milestone to complete before starting your career as a lifeguard manager. This role is imperative to the scheduling, guiding, and supporting a team of lifeguards and water safety instructors. Through your specified training and learning in this course, you will have learned expertise lifesaving skills as well as what it requires to be a great manager. New York State requires all lifeguard supervisors to take the lifeguard management in person exam. Nassau County has another option for lifeguards who want to be an aquatic supervisor, they are able to take the Pool Activity Leader class. Managing a team of people isn’t for everyone. Those who have taken this program and pass the lifeguard management in-person exam will have proven that they have the skills and personality to get along with others as well as lead them. In the program, we highlight how important it is to lead by example and empowerment, not by fear and power. That’s why all graduates of this program will be experts in any topic or skill that a lifeguard is required to know. We want our lifeguard managers to be able to encourage, inspire, and continue teaching their team of lifeguards. The in-person exam takes about 1-2 hours to complete. There’s only a written portion, there is no in-water portion, as well as a presentation section. We aim to help all students prepare for this exam and be as successful as they desire to be. Being a lifeguard is quite a demanding job. It requires that you pay attention to what people are doing. The good news is that if you are an athlete, you have access to a pool and you can enjoy the workout before your duty or even after your duty. However, you will have to be trained to perform both CPR and first aid especially if you are a lifeguard on duty. Here are some of the reasons why. Part of the reason why you should learn how to do CPR and first aid is because of the fact that you will have to know these things first before you can be certified. This means that you can only have the certificate that allows you to work as a lifeguard if you know both CPR and first aid. Next, keep in mind that you are asked to learn CPR and first aid for a good reason. You will have to know both in order to save people’s lives. If you don’t know how to do CPR or first aid, what exactly are you going to do if someone is drowning or if some accident occurs in the area? Keep in mind that the water can be an accident-prone area especially when you have children running around. You have to understand that there are a lot of accidents that could happen in the pool area. You will have to be prepared for the worst and even be able to improvise using some of the concepts that you have learned in doing CPR and first aid. You could be dealing with a drowning incident today and be dealing with a heart attack on the next day. For someone who is looking to become a lifeguard, it is imperative to be prepared for everything and anything. The purpose of first aid and CPR is to help save people’s lives. If you are going to drown, CPR can provide oxygen back to the body and minimize the damage to the brain. The good thing about knowing CPR and first aid is that it could actually prevent death from happening. Keep in mind that even if you call 911, every second is important. Therefore, you just can’t rely on them at all times. There are instances when there are no doctors in the area to help you. And since CPR and first aid can help prevent brain damage, this should be part of every lifeguard’s stock knowledge and competence. Keep in mind that you will never know when an accident is going to occur. These are some practical skills that can come in handy in the workplace. And the good news is that it is also something that can be applied outside the confines of a public pool area. Both CPR and first aid can also be used to help in different scenarios. If you are going to take a lifeguarding class in New Jersey , keep in mind that it is something that you can’t take lightly. Other than learning how to swim, you should know how to save people’s lives. Life saving is an angelic activity that enhance the pride of humanity. Throughout the USA, a huge number of organizations and association are conducting courses to teach life saving skills. US lifeguard certification and training centre is working in many cities and counties and producing awareness about lifesaving skills. American Red Cross Health & Safety Service conducts nationwide education and training programs to develop lifesaving skills in persons to respond, prevent and tackle emergencies in different fields of life. This training offers a variety of courses including first Aid, AED & CPR training as well as certified nursing assistant training to educate people enough to deal with health related issues and set up their careers in health care field in Eastern Massachusetts and Boston. They also prepare volunteers to help people in emergencies and disasters. Expert coaches instruct people at these centers and prepare them to work as team players during any emergency. US lifeguard certification and training centre registers people to get training of life saving skills that can be used to cope with occupational and community emergencies. In aquatic atmosphere training centers produce well trained lifeguards to save citizens from drowning. South Bay CPR Training center, one among these training centers, is performing best to educate people with its passionate and skilled staff. University of Colorado at Boulder is also serving as a part and offers CPR/First Aid and Lifeguard training courses in association with American Red Cross. Lifeguard training comprises all the essential training stuff for rescue. It has announced prerequisites for this training as candidate must have ability to swim constantly up to 300 yards using breaststroke, freestyle or the blend of both per 100 yards. Can dive to 7-10 feet depth minimum and have ability to swim with 10 lb object. Everyone can dream to become lifeguard certified by US lifeguard certification and training centre as they are providing services with passion and expertise. People can be enabled to rescue others in case of emergency speedily and confidently in as well as out of water through this training program. They got training regarding medical emergencies too such as burns, unconsciousness and cardiac emergencies. University of Denver launched an international program concerning the lifeguard training in alliance with American Red Cross and awards a certificate for lifesaving skills valid for two year. It will be great opportunity to be trained at such training centre that adds to your abilities and confidence in you. Lifeguards are the most essential part of aquatic, as there are more chances of causalities in case of drowning. US lifeguard certification and training centre feels proud to train people for saving lives in drowning cases. More than 190000 lifeguards are getting trained per annul with involvement of American Red Cross country wide. The basic purpose for launching these programs was to save from harm in water areas such as water parks, camps, swimming pools, recreation centers and other locations with aquatic facilities. This training centre has attained high standards and the latest techniques and procedures in lifeguard training. Volunteers are also trained throughout the country to serve and save lives during natural disaster such as floods, earth quacks and tsunami etc. Training and lifeguard certification centre on USA are providing trainings free of cost for these volunteers about responding in emergencies and disasters to save maximum lives all over the country in an affiliation with American Red Cross. What are you waiting for? Join the US lifeguard certification and training centre if you have the ability and passion to save people and enhance that angelic activity in any part of the world!!!!! Life is the most important gift of God and it is must for us to take care of it. According to the research, every year 1.2 million people drown. Either most of the people drowned because they do not know how to swim or they drowned in some kind of natural disaster and the result comes to death. The matter of fact is that we must be in need of safeguard or the survival of our life as well. The lifeguard training for survival is very important and necessary. It is the most important and responsible job in all the jobs all around the world. Lifeguard has some responsibilities that he has to follow and perform. There are some tips and techniques which are as follows. Leadership and Teamwork: There are many points to be discussed in the heading of leadership and teamwork. For a teamwork and leadership, expedition behavior is very important for the lifeguard. The behavior should be positive and tolerate. He or she has the capacity to tolerate any kind of mishap. Not only this, he or she should respect others especially those who needs his or her guidance. He should know how to work as a team. Communication is the fore and foremost skill for the lifeguard. He or she has to be Polite in communication and behavior. Decision making and judgment is his ability. He should be the best challenger. He has to know the self awareness. If a person has some problem he has the capability to help the others and solve the problem of others. A limitation is of great importance, the lifeguard has to react according to his or her limitations. A good lifeguard is one who learns from his experience. Not only is this, to give and seek feed back of very much importance because most of the people are waiting for the lifeguard training for survival. Drowning Chain: Drowning chain is of course is a new word to you. Drowning chain includes many things which are important, which prevent you from drowning. Instead of leadership and teamwork, there are many things which are the lifeguard has to perform. The first and foremost in drowning chain is the education. He must have the complete education and information of being a lifeguard. Provision of warnings is of great importance. One cannot ignore it. The lifeguard and the ones who are interested in taking guidance must be aware of the importance of the provision of warnings. Command and supervision, is another important thing which are important and a lifeguard cannot ignore it. The lifeguard should know how to supervise and the guidance taker should respect the responsibility of the lifeguard. Denial of access is another important thing which cannot be ignored. Survival is another important thing, last but not the least thing is the survival skill. It is very important for the lifeguard to learn the training in survival skill successful. The lifeguard has to provide all the elements to the people from preventing them from drowning. 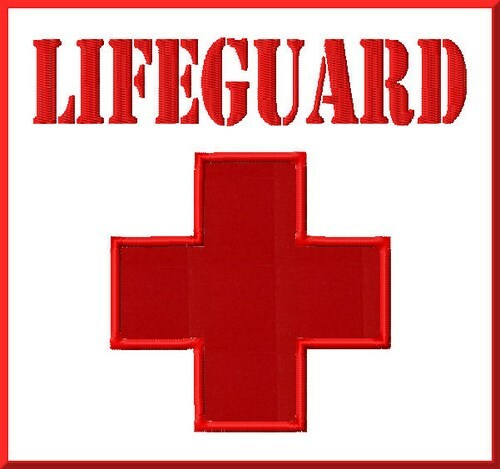 Duties: If a person is injured the lifeguard has to enforce rules in order to anticipate the injuries or problems. The safeguard must have the ability to maintain concentrated observations of the duty area in order to anticipate problems. He or she should carry First Aid Kit with him or her. He or she should take action if necessary. Give immediate first aid to the injured bathers. He or she must have the quality to identify the injury and emergency quickly. Not only this, the lifeguard has some other duties to perform as for example cleaning, and filing paperwork. Not only this, he should have the duty to check the swimming pool chorine and pH levels. The duty of lifeguard is to supervise the other equipment like water slides and other activities that are taking place there. It is extremely challenging career as a professional lifeguard because there are many risks involved. Your own life can be at stake in really difficult times. Saving a life is not a child’s play. It has many complications and chances of danger are high. You will have to take tough training sessions to begin a challenging career as a professional lifeguard before finally entering the team. There are many aspects that need proper information and practical training. Not all situations are the same and working mode may vary a great deal in different situations. Training can be given by experts only .There are many organizations that offer these services. They make you learn lots of things especially risk management while you are on duty. The basis requirement is that you should be strong and energetic to carry out the hectic job of saving life at the shore. A weak body will never be able to do the task properly. Working hours are longer and there is usually no respite in duty timings. You have to work continually for several consecutive hours. Sometimes, there are many people calling out for help at the same time. That’s why is it challenging career as a professional lifeguard. Because, it is a really tough job, criteria for enrollment are really rigid. You should get intense training and pass it. Your health and body should also be stronger beyond normal individuals because you have to do tough physical activity like running, swimming and so on. It’s not necessary that good swimmers become great lifeguards. It’s something beyond that. You should be mentally alert all the time by keeping eyes and ears open all the time. As soon as the victim screams out for help, you should take action immediately and jump into the water with life saver. When, there are many victims calling for help, you should quickly decide which one to approach and how to do the job. Every minute is important in case of emergency and a little negligence can go a long way. Therefore it is extremely challenging career as a professional lifeguard. It is not bed of roses and tougher than it seems. There is no option for you except standing under direct sun all day and waiting for call from a drowning victim. You will sweat heavily all day and it can be irritating for you. But you have to bear it and maintain your efficiency. Because, it is challenging career as a professional lifeguard, you have to think well before choosing it. If you are adventurous and agile, it’s undoubtedly an excellent career for you, which is rewarding in sense of monetary gains as well as appreciation from victim and satisfaction after saving life of others. You need to stay focused and unaffected by charms of beach around. There are people who spend time on seashore just to enjoy the time with friends or others, you may also have the urge to have some recreation, but sorry you won’t be allowed to do so. Keep your inner desires in control because you are on duty. Don’t worry; you can have fun in off-hours, weekends or holidays. So, if you are ready to begin a highly challenging career as a professional lifeguard, doors are open. Join the most reputed organization or institute for getting training and complete information. Those who are planning to become lifeguards and wondering what a lifeguard training would be like must read this article to learn the basics about the training. As you may already be aware, the basic motive of the lifeguard training is to educate the lifeguards-to-be to know what their duties and responsibilities will be, how they should deal with them and how to save the lives of people who bank on them. During the training period, the future lifeguards are prepared to handle all kinds of situations that they could experience during their job as a lifeguard. It is important for the lifeguards to possess extraordinary swimming skills. Apart from this, they must also know how to provide first aid to people, and CPR before they actually step into the field. Lifeguard certification programs aim at providing education on the provision of safety and protection to everyone who goes to beaches and oceans for swimming. The main focus of these lifeguard trainings is on the swimming competence of the future lifeguards. Obviously, the most basic requirement of being a good lifeguard is being a great swimmer, who is aware of all the techniques of fighting the waves – because it is the most challenging of all tasks that a lifeguard needs to deal with. The responsibility of reducing these factors that lead to drowning and deaths of millions of swimmers across the globe every year is on the shoulders of lifeguards. They need to make sure that the beachgoers are closely supervised, properly educated on the basic safety tips, provided protection to deal with hazards, are given safety advice, and know how to cope with risks and dangers in the water. Lifeguards must be motivated to eliminate these factors that lead to drowning and deaths at beaches and oceans. Lifeguard training aims at teaching lifeguards all these skills so that people who come to swim can enjoy trouble-free time. In the marine environments, lifeguards are the first ones to make medical arrangements in the time of emergencies, that is why it is beneficial for them to get proper training for their job. Obviously, you need to know the basic swimming skills prior to joining the training, because at training they will teach you special skills and abilities to deal with ocean hazards. We wish you all the best with your aim to become the life savior of beachgoers and people swimming in pools, lakes, rivers and elsewhere!